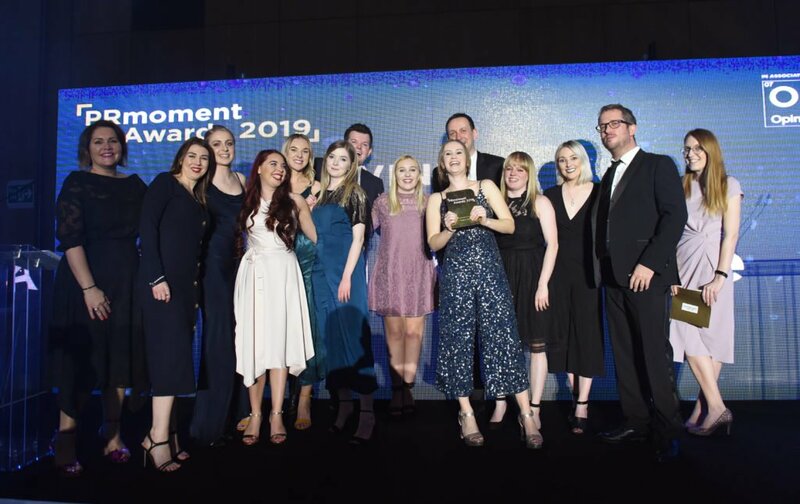 Celebrations are in full swing here after PR Agency One won the prestigious titles of ‘Technology Agency of the Year’ and ‘Independent Agency of the Year’ at the 2019 PR Moment Awards. The ceremony took place on 13th March at Manchester’s Hilton hotel and brought together the very best in PR and marketing from across the north of the UK. Our 22-strong team was praised for its ability to build reputation, grow brand awareness and generate leads for clients, particularly within the tech sector. We were also recognised for our unique in-house developed PR measurement suite. This is a new reputation tracking, brand tracking, commercial evaluation system to show the attributable impact of PR on our client’s bottom lines. For us, technology forms the cornerstone of our business – with all of our team trained to become high quality analysts that are familiar with the latest analytics, panel research, goal setting and digital marketing techniques. Not only this, but we work with a whole host of tech-related clients, such as Perkbox, Duologi, Visualsoft, AgeChecked, Honcho and Laptops Direct, which now make up 35% of our annual turnover. We work hard to achieve great results for these clients. A couple of highlights include boosting Perkbox’s search engine visibility by 1,187% and increasing Duologi’s sales leads by 2000%. Along with this, we have evolved into an independent, agile, measurement-focused agency at the forefront of applying traditional media relations to leading edge technology. Therefore, these awards act as great recognition for all the hard work our team has put in over the years. They acknowledge that we have successfully established ourselves as a truly independent agency and built up a high-level of PR expertise – especially within the tech sector. What a great start to 2019 and here’s to a promising year ahead!